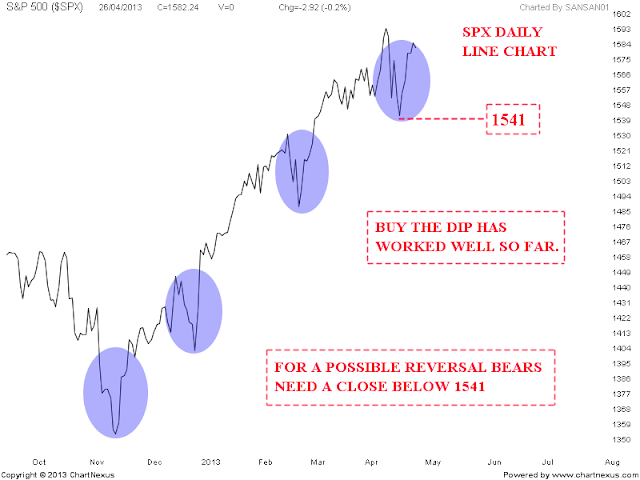 SPX Daily line chart shows the Strong up trend of this time frame. Buy the dip has worked well so far for Bulls of SPX. 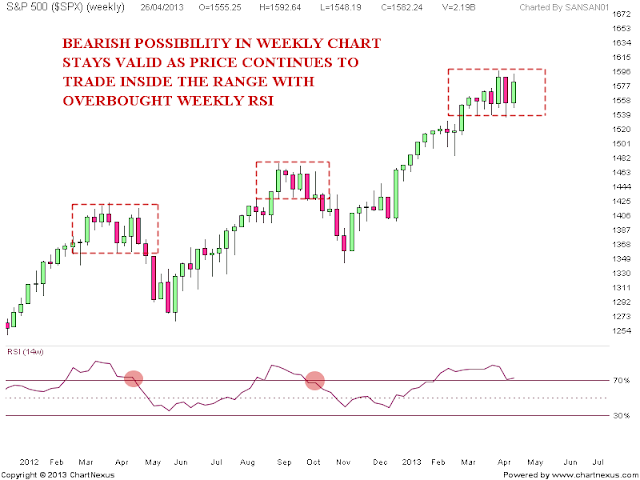 Bigger worry for bulls only if daily charts closes below 1541. 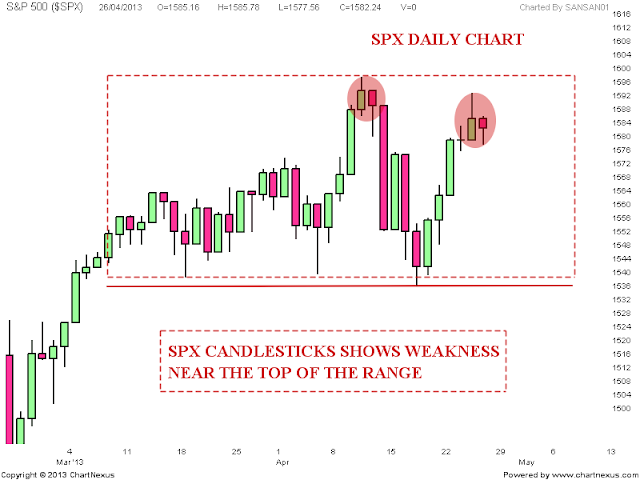 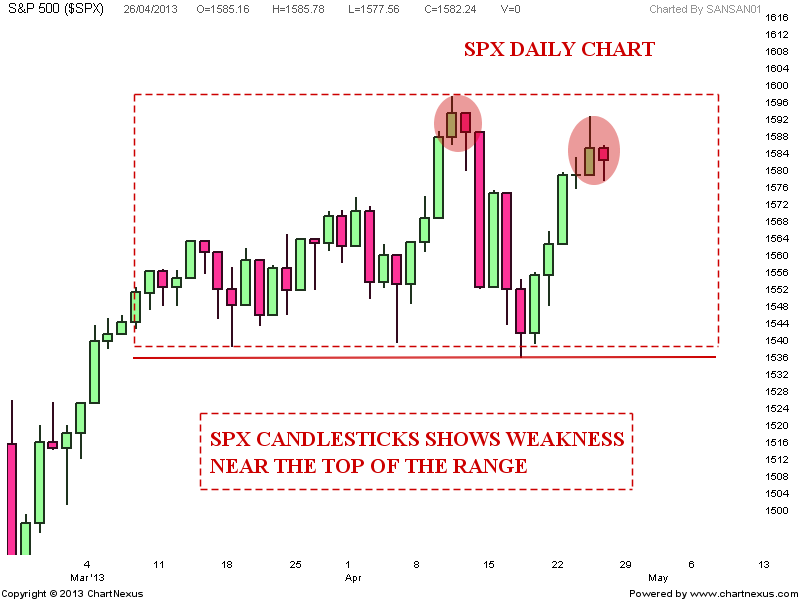 Second chart shows price near the top of the range and candlesticks showing some weakness. 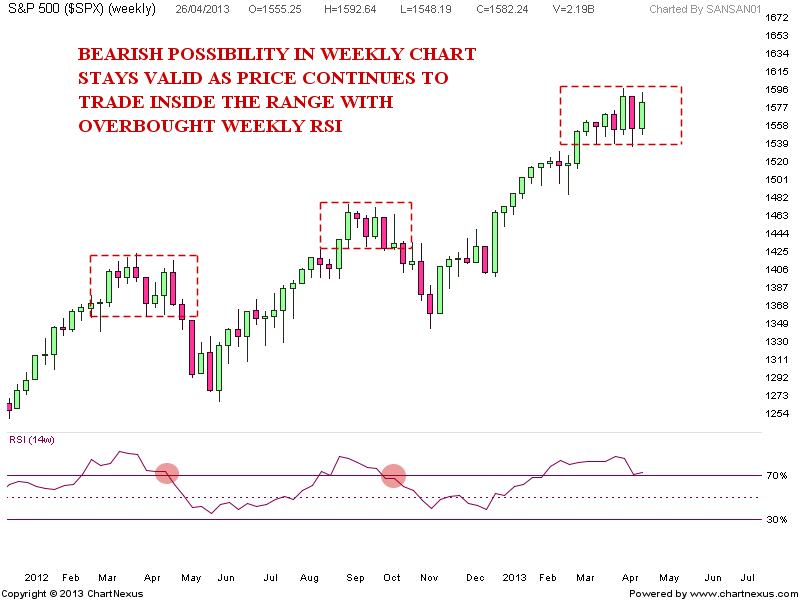 Last chart shows the bearish possibility in weekly chart with price in the range and overbought weekly indicator.